Welcome to the mother-lode of ATF-related data on NFA firearms! Each year the ATF publishes a report that includes data on the number of firearms in commerce (made, exported, and imported) and statistics on NFA firearms (forms, revenue, and distribution) and FFLs (applications and inspections. 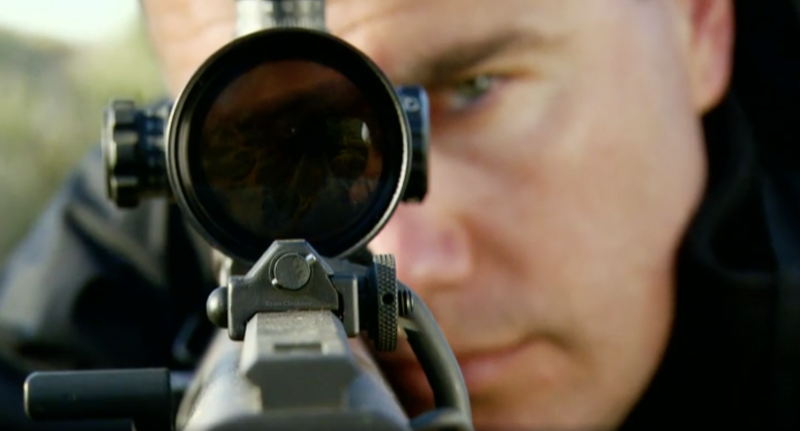 how many ATF compliance inspections occurred. I told you that it was the mother-lode of data! In this article, we’ll stick to the National Firearms Act (NFA) information to keep the information manageable. 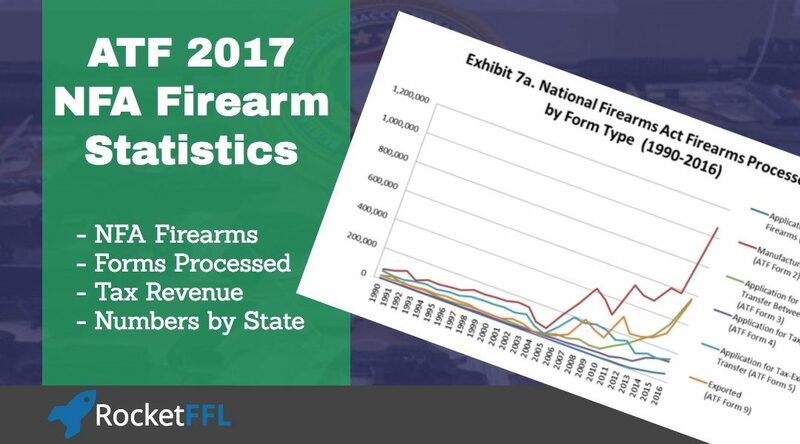 If you’re interested in the rest of the ATF data, check out our articles on Firearms in Commerce and FFL Applications and Inspections Statistics. It is no secret that sales of NFA firearms (silencers, short-barreled rifles, short-barreled shotguns, and more) have skyrocketed in recent years. The market is so big for NFA firearms that many people recognize the business opportunity and want to get started making and/or selling NFA items. However, the process can be very intimidating for some. 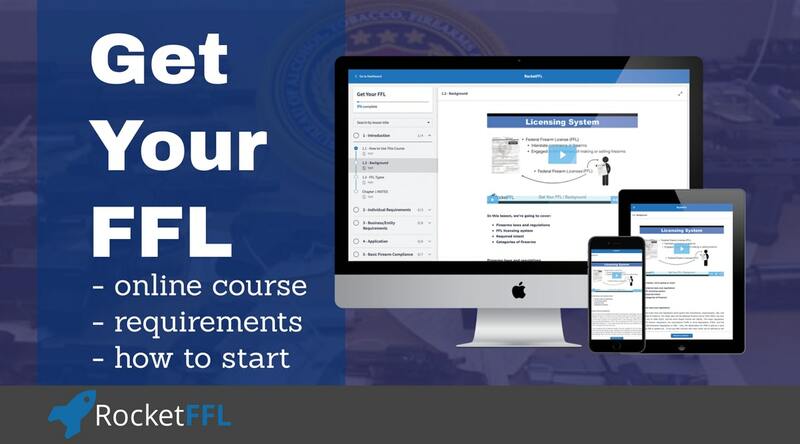 There’s a lot to know to get your FFL and become an SOT and there’s even more to know to stay out of trouble. Because of this, we created RocketFFL to help you – check out our courses on Getting Your FFL and Becoming an SOT. As you can see in the graph below, there’s a LOT more NFA firearm being manufactured than there are being sold/transferred (almost double). That’s what has led to some flooding of the market of NFA items. The good news if you’re just starting out? Everything is on sale! In 2016, the ATF processed 2,530,209 NFA forms. That’s not how many NFA firearms were sold – every firearm that was sold on a Form 4 to an individual was transferred from FFL to FFL on a Form 3 and manufactured by an FFL on a Form 2. A better picture of the number of NFA firearms sold in 2016 is to look at the number of Form 4s processed by the ATF: 133,911. That’s not much more NFA sales than the previous year even though manufacturing almost doubled. 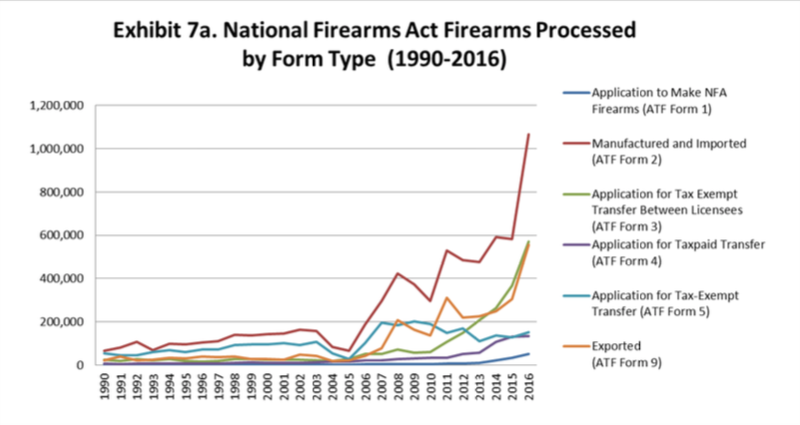 You can see the numbers of each NFA Form back to 1990 in the ATF’s Report, but I’ve shared the last five years data from the ATF below. With record NFA sales comes record NFA tax revenue by the government. Every Form 1 application to make an NFA firearm by an non-FFL and every Form 4 application to transfer an NFA firearm from an FFL to an individual requires the payment of a tax. 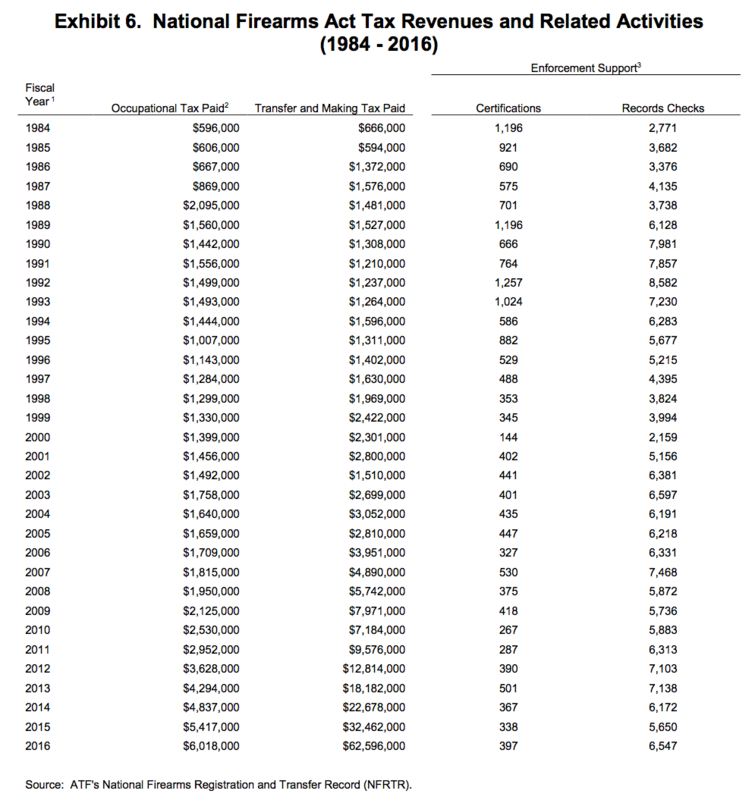 For most NFA firearms, the tax is $200. However, the tax for Any Other Weapons (AOW), the tax is only $5. Also, an FFL can become a Special Occupational Taxpayer (SOT) to pay a tax once a year and avoid paying the tax per NFA firearm made or transferred. For some FFLs, this is a requirement. You can learn more about this in our Get Your FFL course. In 2016, the ATF collected a total of $68,614,000 from NFA firearms activity! That’s $6,018,000 from SOTs and $62,596,000 from individuals paying transfer and making taxes. Unfortunately, the ATF doesn’t get to keep that money to help pay for more people to process the forms and for a better infrastructure. Instead, the money goes into the general treasury. When I managed federal government relations for the firearms industry’s trade association, the National Shooting Sports Foundation, we lobbied to have the money stay with ATF so that they could reduce the wait-times customers must wait after the purchase their NFA firearm and before they can lawfully possess it. Currently, those wait-times are up to 1 year! This is another reason to get your FFL, you can get a silencer (or other NFA firearm) at discounted pricing within a month! Or, you can keep paying full-retail and waiting up to a year. The ATF keeps an updated registry of the location of every NFA firearm on their National Firearms Registry and Transfer Record (NFR&TR). 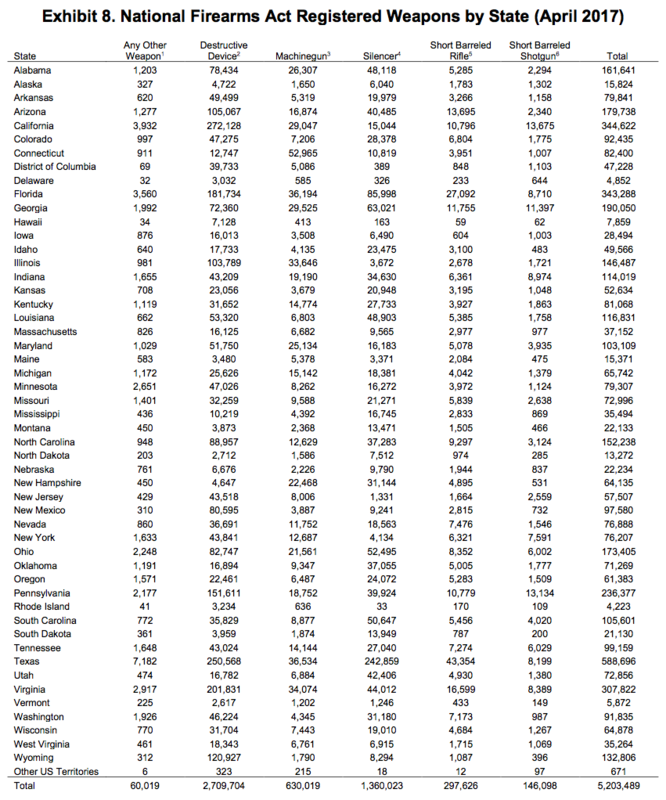 This information helps us to know exactly (well, as precisely as the ATF can keep their records) how many registered NFA firearms are in our country….5,203,489! If these stats are interesting to you and you’re not yet a part of the firearms industry, you might want to consider it! You’ll stop having to worry about spending so much money on guns and you’ll start making money with them! I would like help in a form 1 SBR I already have a trust. I would like to E-file as well. Sorry, we are focused on helping folks get and keep their FFLs. 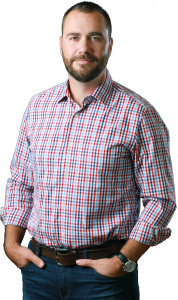 If you’d like help on a personal (non-FFL) level, then please contact us at info@rocketffl.com and we’ll send you information on getting individual legal representation.